The Queen’s Young Leaders Award winners were given some priceless business tips when they visited some of the UK’s top companies. The winners visited businesses including Standard Chartered, Waitrose, AMV BBDO, Nesta, The Royal Society and PWC. As well as receiving tours of the organisations, they also had the opportunity to take part in question and answer sessions with some of the leaders of the companies. 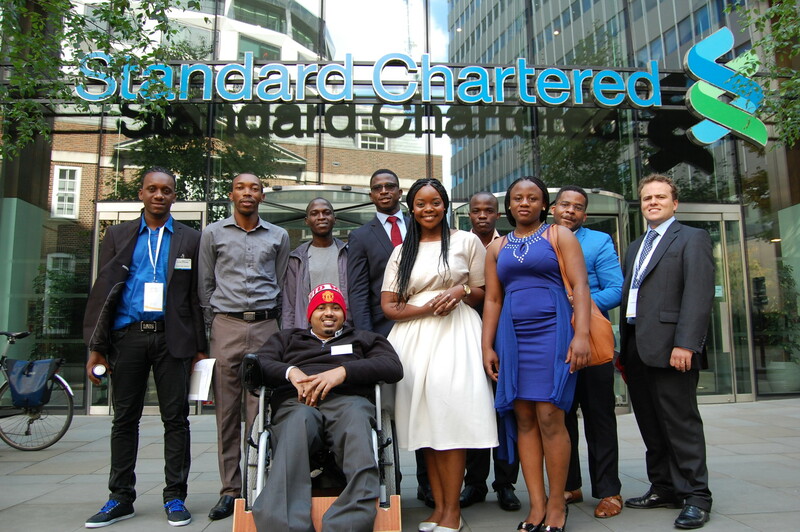 At Standard Chartered bank’s London headquarters the Queen’s Young Leaders took part in a series of workshops and interactive sessions on leadership, including presentations by Standard Chartered plc Chairman Sir John Peace and Liverpool FC Chief Commercial Officer Billy Hogan. Sir John talked to the Queen’s Young Leaders about his own ‘Leadership Journey’. He also took time to answer their questions, which ranged from how to balance a family life when leading an organisation to how to manage a team effectively. His advice included the importance of surrounding themselves with a strong team, and to listen to those around them. Sir John also encouraged the group to think about continuing to support their local communities as they become more successful in life. “There are lots of things you can do other than just grow your profits and revenues, and that is to give back to the community,” he told them.